Have you ever thought about how many times in a typical day we use water? All of us probably started our day with a hot shower and a morning routine centered around water: brushing our teeth, washing our faces, preparing breakfast. 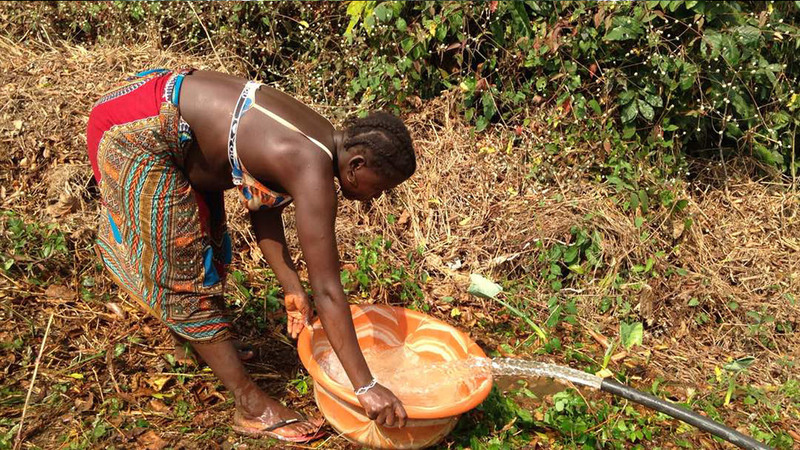 Maybe even as you’re reading this you’ve got a steaming cup of coffee, or a water bottle handy, which probably involved twisting on a nearby faucet… but what does it take to get clean water to a village in Sierra Leone? Today, we’re taking a moment to walk in the shoes of a village called Faama where everyone’s only option each day was to cook, clean, wash, and hydrate with the water source you can see below. It’s tough to look at, tough to think about, tough to imagine this as anything more than a mud puddle. What would we do faced with this water source as our only option day in and day out? We can all feel for the village of Faama’s desperate need for something much better. We can all try to picture the urgency and passion our drilling team feels daily as they encounter needs like these. This had been on our list for a while as a village in need of clean water, but it’s location is so difficult to access we knew we’d need a solid plan and the appropriate funds in place to tackle the job. That’s why there was a lot of excitement when we knew we had the funds to take this on as a drilling project! And in a matter of days, what might have seemed beyond hope began to turn into possibility and progress. Our drilling team arrived, eager and ready to work their hardest, understanding the incredible need we all have for clean water. Can you just imagine how word traveled through the village as soon as they got to work? People came prepared with buckets and containers, full of hope and expectation before the pump was even installed! They came ready for change and for a better future. As our team worked hard, everything was literally beginning to change. 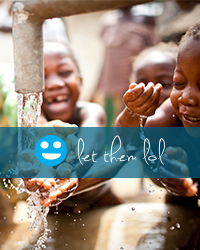 The presence of clean water will be life-altering, and the people of Faama showed up ready! After a lot of hard work, we are so proud of our Sierra Leonean Drilling Team who pulled off yet another successful well, providing this most basic human need of clean water to the village of Faama. Can you see the dignity and joy on their faces? This is why they keep going; this is why they push through long hours, brutal heat, repeated setbacks, and impossible terrain. The hope that clean water brings is motivation and reward – it is the fuel that keeps us all passionate about giving our ‘one drop’ whatever that may be. So what did it take to bring clean water to Faama? It took donors and volunteers like you, who care enough to say, “This is not ok with me.” Your generosity employs our drilling team, funds our water projects, and helps keep Let Them LOL in motion. It took the care, commitment, and endurance of our drilling team to push through and get the job done to make this life-changing work possible. And it took the hope and trust of the people of Faama to put their faith in us to do this job well, to not forget them or leave them with empty promises. Now, you can see for yourself the joy and celebration as a result of all of us coming together. Faama is such a great example of what we gratefully know to be true – when we come together and give of our time and treasures, we see the African proverb for all it’s worth – even for one village or one child at a time: Many drops make a mighty ocean. Run/Walk for Clean Water with us in May! See Faama on our drilling map!